If you need to be convinced what Santa Barbara has to offer, you obviously haven't visited! Known as the American Riviera, the Santa Barbara area features architecture tying together Spanish and Mediterranean influences with its Mexican and Californian distinctiveness. 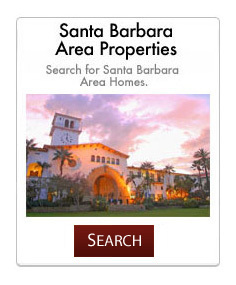 There are less than 100,000 people in the Santa Barbara city limits, and surrounding areas such as Montecito and Carpinteria add only a few tens of thousands to that count, thus maintaining a rural feel to the Santa Barbara Metropolitan area. From Santa Barbara it is only five traffic-free minutes to Montecito, Summerland, and Hope Ranch, and ten minutes to Carpinteria. Santa Barbara offers plenty of local activities and places to visit, from historical buildings such as Mission Santa Barbara, to the Santa Barbara Museum of Art, to popular Stearns Wharf and the Santa Barbara Zoo. Popular shopping venues include Paseo Nuevo, which features an outdoor, Mediterranean-like walking avenue lined by shops, cafes, and restaurants.